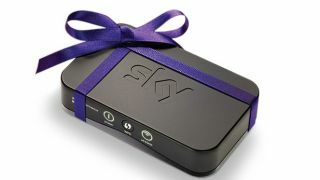 Sky has rolled out its Wi-Fi-enabled set top boxes as standard to new customers, and is offering existing customers who have not yet used on-demand a free Wi-Fi dongle for their boxes. The on-demand service has been hamstrung previously by the need for an ethernet link between the modem/hub and the Sky box - not all that handy for those whose two boxes are in different parts of their house. Mindful of that Sky is now ensuring that all new boxes have built in Wi-Fi as standard in new Sky+HD and Sky+HD 2TB boxes. Interestingly, for those people who have not yet used on-demand but are not going to update their boxes, there is the option of applying for a free dongle. Not, however, if you have already used on demand or if you do not have a box that is capable of using the dongle. Which is a bit of a shame for those who are looking to do away with all those cables under the TV. You can check if you are eligible at sky.com/connector. Sky's popular on demand service is currently going through a bit of a growth spurt, and there's the promise of more TV boxsets of things like Hannibal Season 1, Friday Night Lights Seasons 1 and 2 and Falling Skies' first two series from September. There's no Chromecast for the UK yet, but would Sky be involved if there was?